Introduced by Pyrex in 1953 and discontinued in 1957, this pattern colour is called Flamingo and has a gold trim on all the pieces. It sure makes for a colourful display when the table is all laid out with these dishes. Shown is one place setting. I have 10 complete place settings altogether. Will be for sale at my booth in Almonte Ontario, at the Almonte Antique Market. 4 place settings will be $50. Please note: All these dishes are now SOLD!! 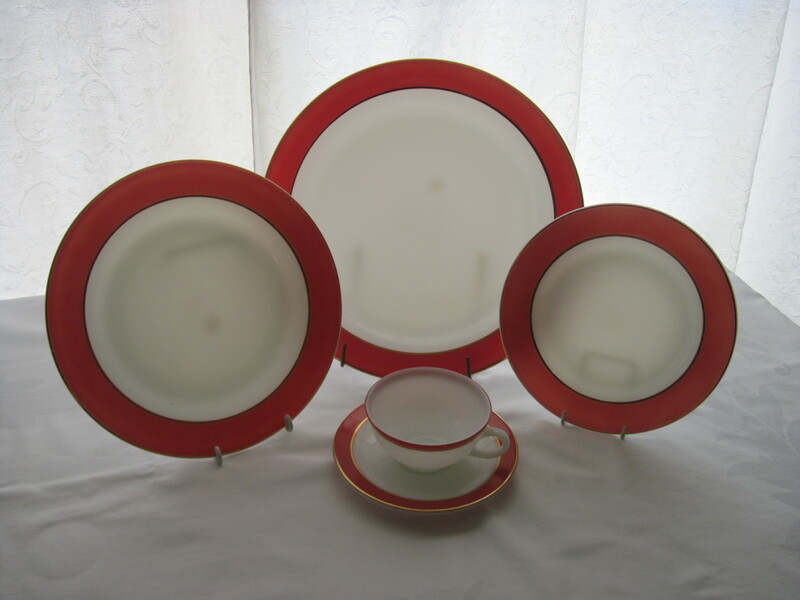 Can I buy your red trimmed, pyrex dishes online? I am not selling these online as it would cost a fortune to ship because of the weight. I would prefer to sell them at my booth in the Antique Market. Thanks for inquiring though.